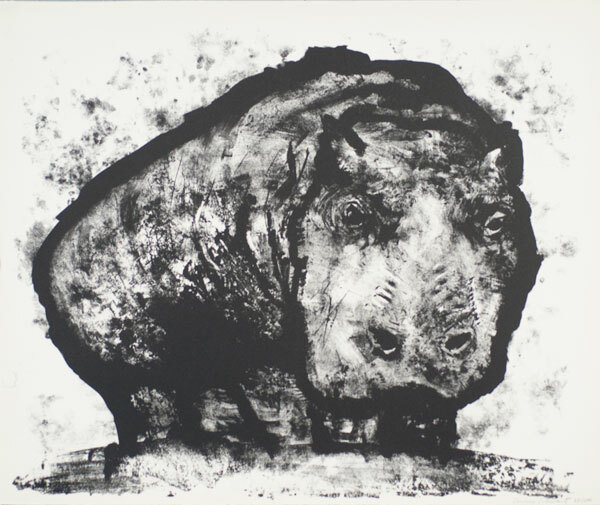 Aubrey Schwartz, Hippopotamus (A Bestiary Portfolio), 1962, lithograph on paper, 15 x 18 inches. Gift of Leo Monahan, 2009.05.03.61H. Animal Art: Students create art based on pets we own, animals in our communities where we live, and animals that are endangered around the world using a variety of media including paint, pastels, mask-making, and printmaking.